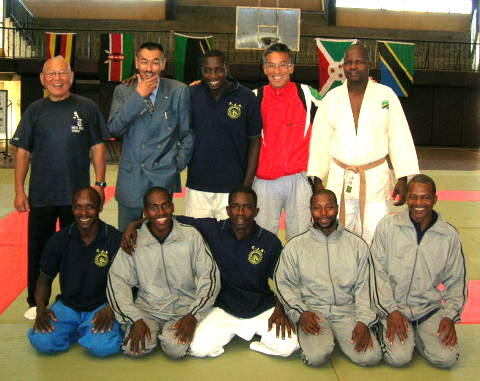 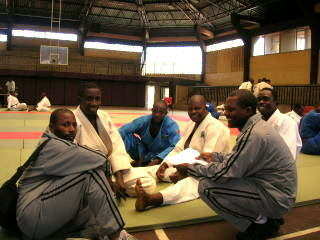 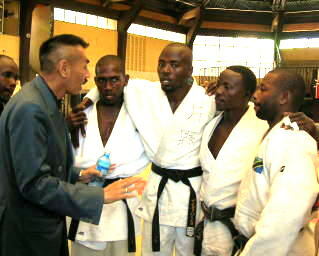 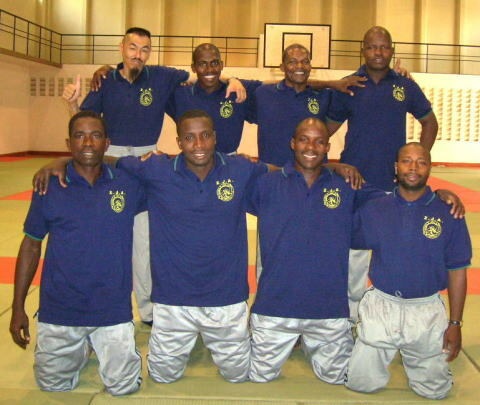 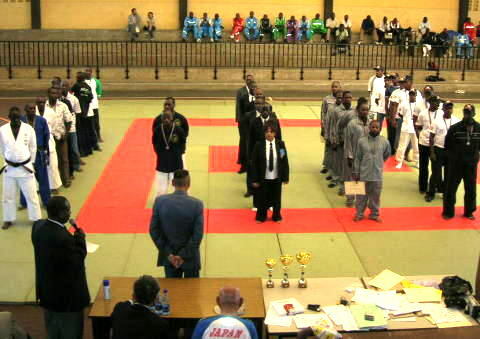 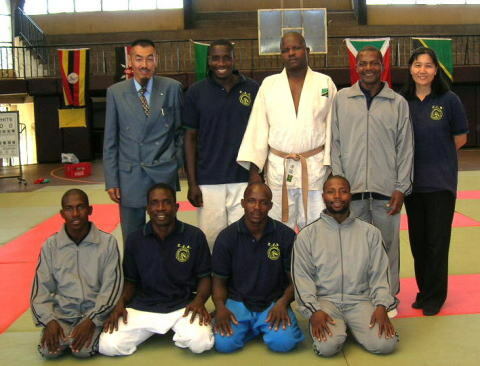 The 1'st East Africa Judo Championship was hold 14---19/Feb/2007 in Nairobi, KENYA. 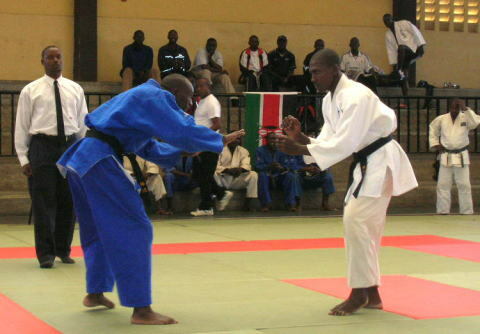 It was the qualifying competition for the All Africa Games. 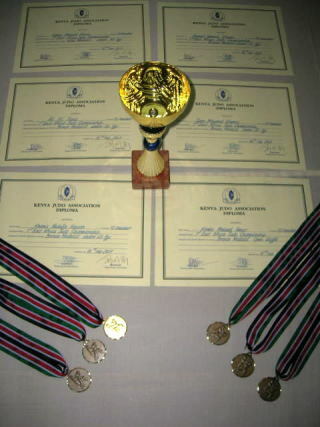 ZJA participated　for it and got 1 Gold medal and 5 Bronze medals. 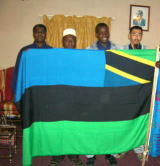 12/Feb The Function of National Flag by Assistant Director of Department of Sports, Mr.Mgeni Mwalim at Ammani National Studium in Zanzibar. 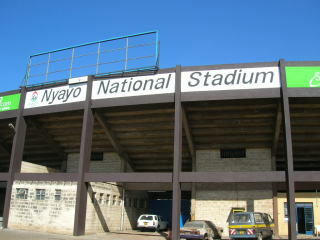 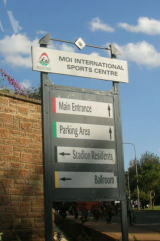 14/Feb Arrive in Nairobi at Moi International Sports Centre Kasarani. 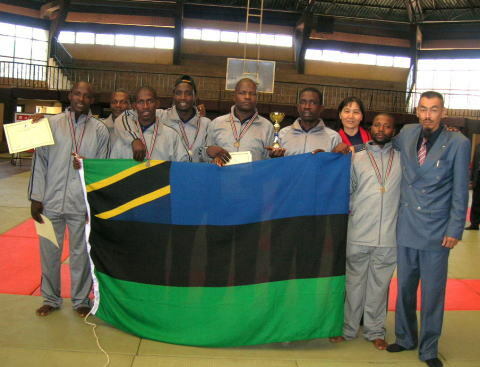 KOMBO Masoud Amour (left)became the Champion of East Africa in 100kg. 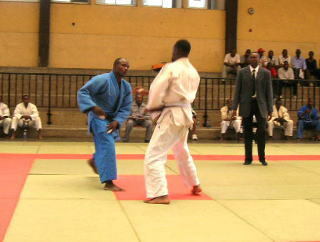 and also the 3'rd winner of Open category. 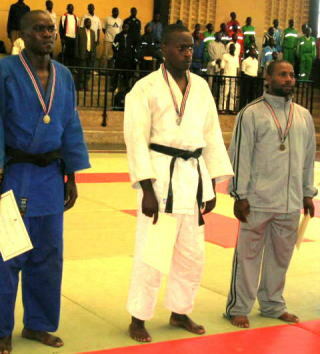 Our Team captain ,Juma MohamedKhamis -- 3'rd winner of 81kg. 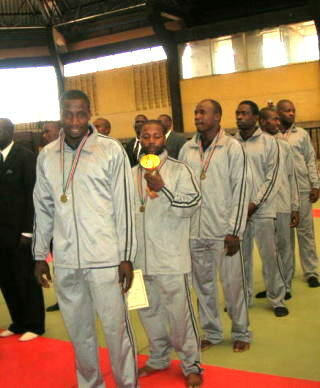 Ali Ali Juma(right) , 3'rd winner of 66kg. 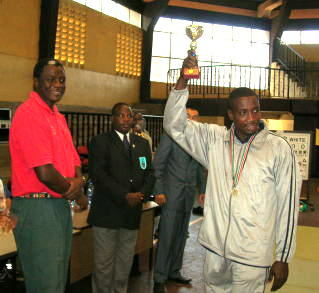 Abdalla Hasan(right) became the 3'rd winner. 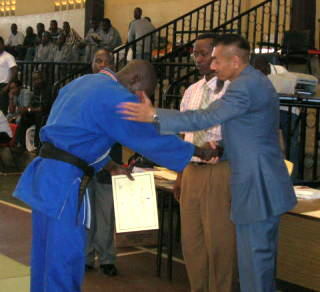 *It was the first Judo Championship in East Africa; it was good opportunity to participate many Judo players in East Africa If this East Africa Judo Championship will be continue, it will be good opportunity for developing Judo in East Africa. 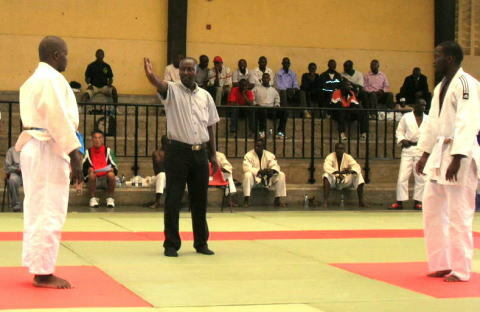 *All of Participators could communicate with Swahili language, so it was good opportunity to communicate between players, epresentatives of Judo associations and every participators.